“Courts say, ‘it is my role to punish.’ Lawyers say, ‘it is my role to get you off.’ And teachers say, ‘I only teach’ – but no one is looking at the whole picture of troubled children,” says Shauneen Lambe, co-founder of Just for Kids Law, a not-for-profit legal advice company for youngsters going through the courts. Social entrepreneur Lambe, who trained as a barrister, founded JfKL to offer free legal advice to young people from underprivileged backgrounds across London boroughs – but it has grown into something much more dynamic. JfKL use the criminal justice system as a point of contact and their office in Harrow Road in west London is an ‘all-in-one’ advice centre for youngsters seeking accommodation, looking for work or simply going through legal procedures and not knowing what to do. Having co-founded Just for Kids Law, Lambe spends all of her time with young people who get involved in crime across London and describes herself as being ‘a voice for the voiceless’. Her first step is always stabilising children’s lives; this usually means keeping kids out of prison. Lambe strongly believes early intervention is key and a great investment in kids’ futures as well as being a great benefit for society at large. She also points out the sheer number of young people who have been turned away from council services as local authorities want to save money. “Young people don’t know what they are entitled to so they become easy targets. If they are not articulating their positions in a clear and coherent way, they lose out. When they go with an adult who advocates on their behalf then the outcome will be radically different,” she says. 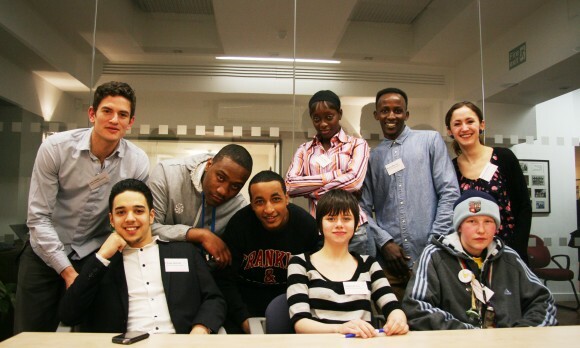 The organisation is also providing work placements, CV advice and other help relating to finding work through their Opportunities Project, run by Joel Carter (pictured above far left standing). “We had a case recently of a young man who had a job offer but was declined after CRB checks,” says Carter picking up the story. “When the employer made a CRB check, the police actually gave them wrong information. We intervened to update the police records. We negotiated with the employer, and he was employed. Lots of people are excluded from jobs because of previous convictions. And we provide references for them and also get in touch with potential employers,” he adds. 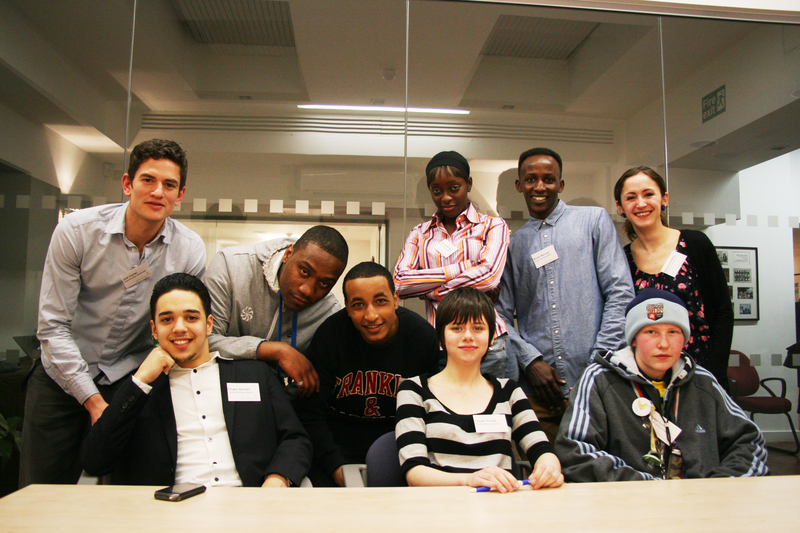 Further to these efforts to give young people a voice, JfKL set up the Youth Ambassadors programme after the London riots. It’s led by ex-gang member kids or by those who have used JfKL services in the past. Youth Ambassadors advise JfKL on projects, review government consultation papers and have even visited the Houses of Parliament to raise the profile of their work. Soon, Just for Kids Law is opening a branch in Camberwell in south London to give a supporting hand to those kids going through courts at early stages of their lives.